The meme, A Trip Through Time, hosted by The Absent Historian is posted biweekly on a Friday. On the meme I will be taking a look at everything history related. 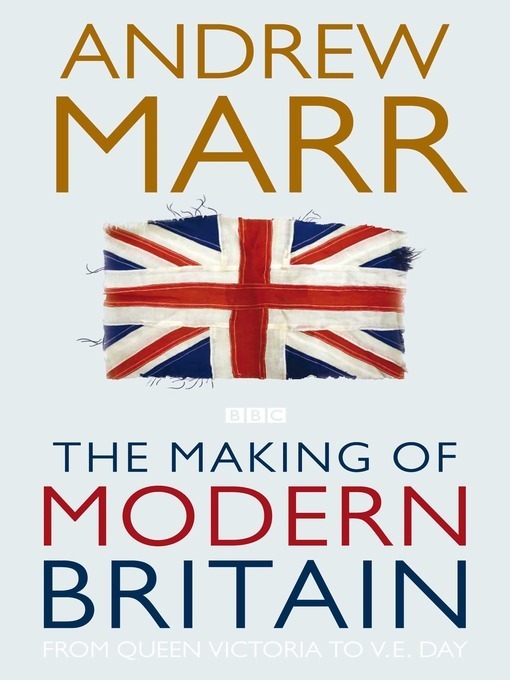 This week I am going to be taking a Andrew Marr’s The Making of Modern Britain: From Queen Victoria to VE Day which is a history book I am currently reading and share a few of my favourite quotes and facts from the book. Andrew Marr also did an accompanying TV series for the BBC which is meant to be really informative and interesting, if you’re not a fan of reading history books but like a documentary, I’d check it out! Andrew Marr is quite a fan of his metaphorical style writing, particularly when it comes to talks of war! It makes for a certainly interesting read and a much easier reading style than some history books (which almost certainly make you sometimes want to bash your head against a wall and crawl under your desk in defeat!). Both these quotes are talking about the first world war, and at first how the British presented themselves, and secondly the method in which they took to in terms of changing the very foundations of industry to increase output for the war. This obviously (as many of you are probably aware) involved bringing women into the work place, and bringing almost 3 million workers under government control so they could more precisely control the war effort. Under Lloyd George the munitions industry became much more efficient in his rule as practical dictator. Despite the end of the the Edwardian era being a time when women were not very powerful and did not yet have the vote (1917: 8.4 million women aged 30+ would be eligible to vote) there are some very important changes and women in this era. There were quite the eccentric individuals, women who chose to speak out and there were both both Suffragettes (WSPU) and Suffragists (NUWSS) unions which were important. Women ventured into the work place, started changing their fashion to accommodate working, so wearing trousers, shorter skirts, bras which were less constrictive than corsets. Contraceptive usage became more common and babies born out of wedlock were known as ‘war babies’ and the mothers were seen as ‘war heroes’ because so many men left to fight rather than being able to marry. 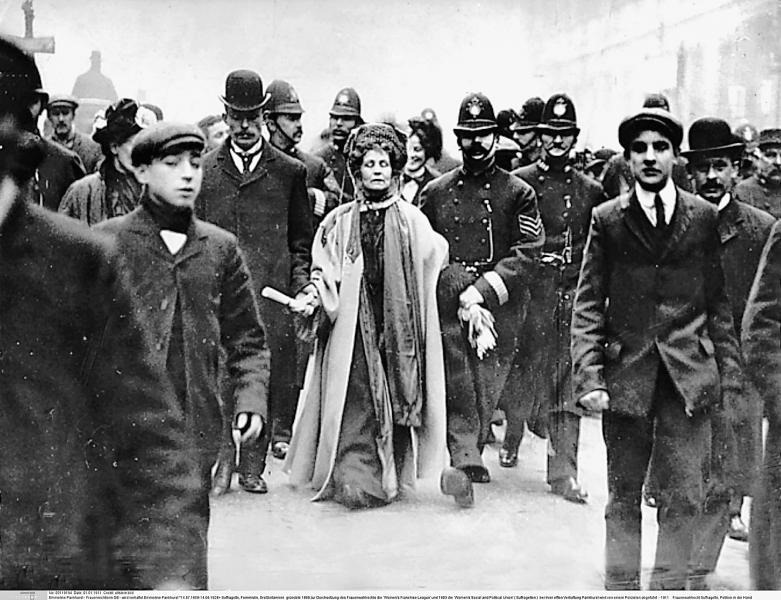 Emmeline Pankhurst (leader of the Suffragettes arrest). Lilian Lenton, who was a suffragette that nearly died when being force fed because the tube was accidentally pushed into her windpipe and it caused her to nearly die from septic pneumonia because of the food in her lung. However, my favourite part about her was that she was a devoted arsonist and had a programme whereby she would burn two buildings a week. Quite the radical activist! Overall, The Making of Modern Britain has lots of different elements that came together to make a really informative, interesting read. I definitely recommend it if you are curious about the end of the Victorian era through to WWII in terms of British history and lots of little anecdotes, quotes from politicians/literary/public figures that give you a greater insight to the period. I’ll leave you guys with a quote from Sir Edward Grey, the British Foreign Secretary during WWI which is a rather poignant, thought-provoking notion in regards to the consequences of WWI and how it left Europe. The lamps are going out all over Europe and I doubt we shall see them lit again in our lifetime. –pg. 111. What little I know of history is what I’ve gathered from my high school history text books and historical fiction. Ah also, TV shows like Reign so it’s no surprise that my history knowledge is riddled with lots of blanks and inaccuracies. But I’m definitely fascinated by the subject. This post reminds of one of my recent reads, The Suffragette Scandal by Courtney Milan(have you read it? )-Not sure how accurate this one is but the protagonist reminds me of Emmeline Pankhurst!